About a month ago I started a new round of cucumber seeds hoping for a great fall harvest to fill the pantry with all varieties of pickles. Cucumber plants don’t like the heat of summer, they prefer temperatures in the 70’s, yet they can’t take a frost. Since we have hot hot summers here in Ohio, cucumbers seem to languish once the temperatures hit the mid 80’s, which is usually right after they start producing. Since this summer has been a particularly hot one, my cucumbers quit producing about a month ago, although I did get almost 2 gallons of pickles from my five plants. This year, I decided to try to grow a fall crop of cucumbers, I’m hoping that they get through their productive season and I’ll have tons of cucumbers to pickle in late September, let’s hope we don’t get and early frost. I started a whole flat of cucumbers back in July, hoping to get a large number of cucumbers at once so I can make a few large batches of fermented pickles. The seed packet says they take about 57 days to produce, which should be just about right. I transplanted them 2 weeks ago. I planted about 15 plants at my mom’s house and about 20 plants here in my raised beds in the back garden. I’m once again growing ‘Boston Pickling’ Cucumbers since I really like them. I’ve actually never grown another variety, this is the first I’ve tried and I’m very happy with the pickles that I make from them. This year I’m trying to save a few seeds for them since the place I order most of my seeds from no longer carries them. Not to mention I’ll be saving myself a few dollars, I’ll make sure I post all about it and offer some free seeds. I’ve read that a lot of gardeners grow second crops of beans and of zucchini to extends the harvests. I tried beans last year, but an early fall frost did them in right when they were starting to produce. It’s always hard to time second crops in a short growing season and with the drastic weather changes we can have here in NE Ohio, but seeds are cheap so I’ll keep trying! Do you have any crops you grow a second round of for fall harvests? I have a second crop of broccoli coming. I will be planting spinach and peas now that the sun is lower in the sky and the garden isn’t as hot. I may even put in more carrots. In Maine, a lot of people are using hoop houses to extend the growing season. I made your oven roasted tomatoes. Yummy! I’m in my second round of peas, broccoli, and carrots. I thought about doing cukes and beans again (too late now) but I thought you weren’t supposed to grow a crop in the same place twice in a row. The only spot I would have had for those things was where I already grew them this season. Maybe I should have just tried it anyway? Oh yes, we planted: peas, carrots, beets at my mom’s already and I planted radishes, spinach, fall greens, lettuce and a few other things here so far. I also have another crop of cabbage, broccoli, cabbage and Brussels sprouts in the seed starting area. Yeah, fall crops are iffy here, too. We usually try for carrots and beets. Sometimes we’re even successful. Beans and squash are usually what I try to get going. I’ve had deer trouble every time I’ve planted beans this year and I’ve just about given up on them. I’ll give it another go, and maybe plant some cukes while I’m at it! Wow, that is a lot of cucumber plants, you should have a good harvest. This year I have planted a second crop of lettuce and spinach and like you I am hoping for a late frost so we can enjoy fresh salads a little longer. I will cover them to protect from a light frost, but a hard frost would do them in and in North Dakota you just never know. I had planted a 2nd crop of Dragon Tongue beans but a ground hog found my garden and ate the tops off all of them. We’ll be, hopefully, relocating it soon. I’m hoping next year I’ll be more organized (was going to plant beets but ran out of seeds!). I tried growing some second and fall crops by direct seeding, but I realize I should have started them indoors (except carrots). The quail seem to like seeds – go figure! I’m wondering if the heat also had something to do with it; I think it got too hot. I’m reading Eliot Coleman’s book Four Season Harvest and I would love to hear if anyone has actually tried this. My garden is fairly large and I’m a bit overwhelmed at the size of hoop houses I’d need to extend the season, but I really want to do this since our growing season is shorter than most and my tomatoes are very late this year. Do you use any season extenders (other than frost blankets)? I have used frost blankets or floating row cover over one of my beds and I have successfully overwintered spinach. 2 years ago I harvested fresh spinach for a salad in February, and Mache in January from my cold frame. I’d suggest maybe adding a small low tunnel (I’d recommend reading through is newest book The Winter Harvest Handbook: Year Round Vegetable Production Using Deep Organic Techniques and Unheated Greenhouses as it’s much more doable on a small scale with the low tunnels rather than the big hoop houses). His newer books is also less overwhelming than the Four Season Harvest. 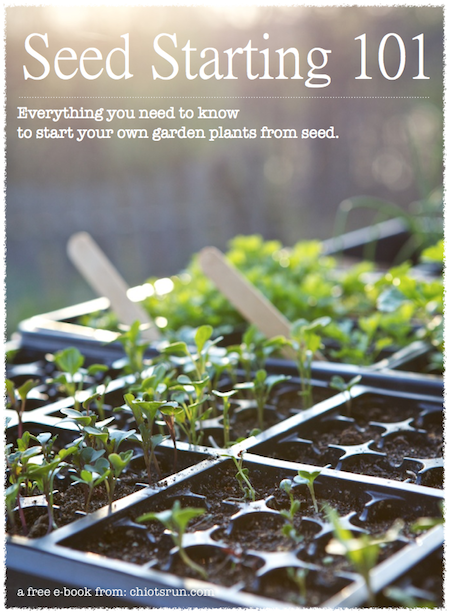 I’d recommend starting with one cold frame or small low tunnel and experimenting. It definitely takes getting timing right for planting. I often start spinach seedlings and lettuce indoors during this time of year since the weather can be really hot. They prefer cooler soil temperature for germination. I usually lay the flats on the cool basement floor to aid in lowering soil temps. This year I got lucky and the weather broke early so I direct seeded outdoors. Susy, thanks for the great tips! And I really appreciate the info on his other book. I was afraid it was too redundant and decided not to purchase it, but I’m rethinking that now. I really like his methods. Also, the reminder to start small and just do one tunnel or hoop house is wise. Thanks! I have been in Eliot’s greenhouses and he produces lovely greens all winter. I am going to try a low hoop over my spinach this fall. I saw him demonstrating how to make the hoops out of conduit last year at the Common Ground Fair and the tool is available at Johnny’s Seeds but I just used PVC pipe this spring. I’d like to do some fall crops, hmm, but I’m not entirely sure when it’s going to cool off here. Maybe October. My cucumbers from earlier in the summer were looking great, healthy vines, flowers, everything except fruit. They never set any fruit. Do you have any idea why this happened? Pollination problems? This was my first year doing cucumbers (Boston Pickling), and I don’t know what happened? I am always so dead by the end of summer that I just don’t have the heart to grow more…I love the idea but I just can’t do it! We’ve had such awful luck with Spring-sown cauliflower & cabbage (bugs galore and stunted growth if/when they survived), this year we decided to try growing them for Fall and over-Winter harvest. It’s been a novel challenge (here in the Pacific Northwest) keeping the tender young plants cool enough these last few (rare this year) hot spells — but that’s what screaming red market umbrellas are for, right? So far, so good. Snap peas, carrots, bush beans and radishes are all having a second go around in my garden right now for Autumn. I tried growing eight cucumber vines this Spring and only one survived and it never produced a single cucumber. Same problem last year… I am envious of your cukes! I seem to fail at them. Hey another ne ohioian. I live in Canton. I replanted my bush beans the 4th wk of July. I put in my first beans so early this year. The growing seaon is 2 -3 wks earlier that ever before. My broccoli is still going and so is the zucchini. I plan on planting some more beans today. I thought about putting in more plants and was inspired to do so by your post. Good luck on your growing. Make sure you update your post and let me know how it went. We actually live SE of Canton down in Malvern at Lake Mohawk. We venture to Canton every couple months for errands, stocking up on some bulk food at Raisin Rack. Have you had any luck with growing bell peppers here? My squash plant from spring seems to be going again–covered in male blossoms (again), so I assume there’s going to be another crop from this plant. My pepper plants have about a dozen flowers on the, and 3 or 4 small marble-sized green pepper babies on them. All my gardening books said these plants needed warm soil and 8-10 hours/day of full sun, yet mine get shade from the neighbor’s fig tree, and we’ve had rain off and on for the past two weeks, cooling the soil (?). The collards have all been harvested and the plants cut to 1″ above the dirt so they can grow again, and are growing. I’m not arguing with nature–I’m just going with it, even though it may contradict the “wisdom” of gardening books, tradition, and the neighbor’s advice. I need to shut down the garden machine so I can dig a new bed–or rather, rearrange the old one to get more sun, but I’m afraid to do it when it’s finally looking like it’s doing what gardens are supposed to do. 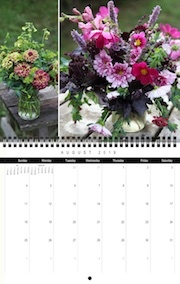 I also know that I need to do something about getting my fall and winter crops started–do I wait out the current crops, go ahead and start the new beds and plant the new crops, or do both (planning the new garden around the current crops)? Or is it too early to start planting for fall and winter? You might try growing cucumbers from Thailand or other Asian countries. I grow Thai cucs with seed from Baker Creek and they keep producing right through our extremely hot and humid summers (I live on the Texas Gulf Coast). I mostly have a hard time picking them fast enough. And they volunteer the next year from over-ripe fruits that fell on the ground. Thanks for the recommendation, I’ll have to give those a try.